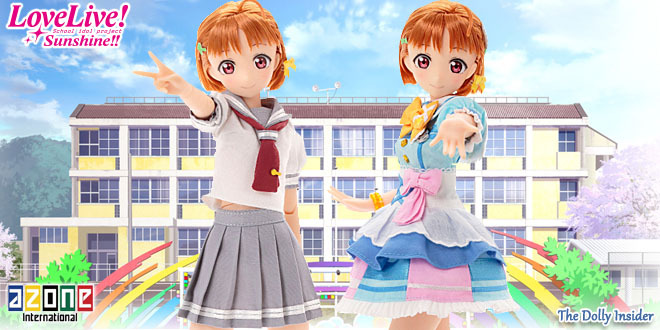 Azone International begins another series of idol inspired dolls with the announcement of Chika Takami! 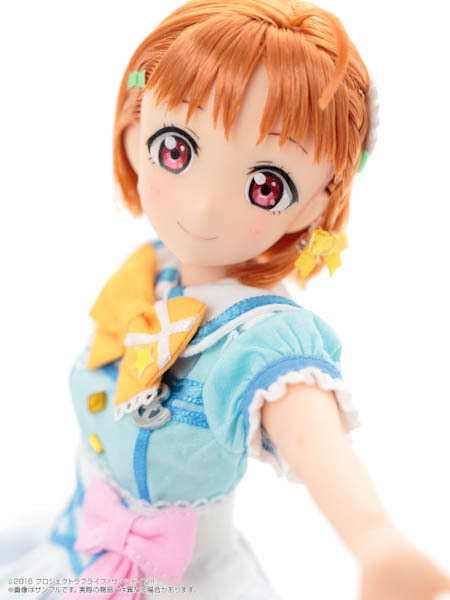 Chika Takami is the 10th Love Live! 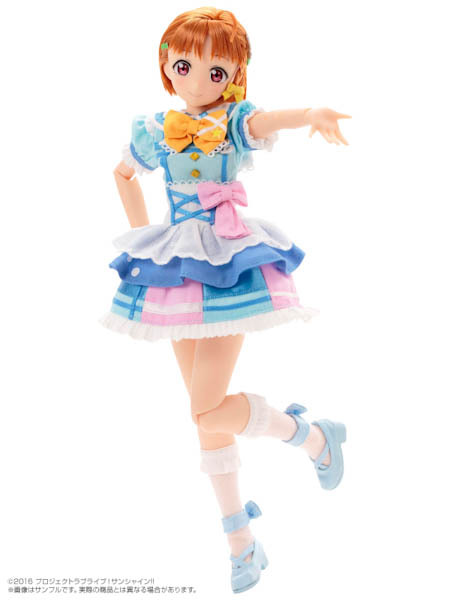 doll but the 1st from the Love Live! Sunshine!! series. 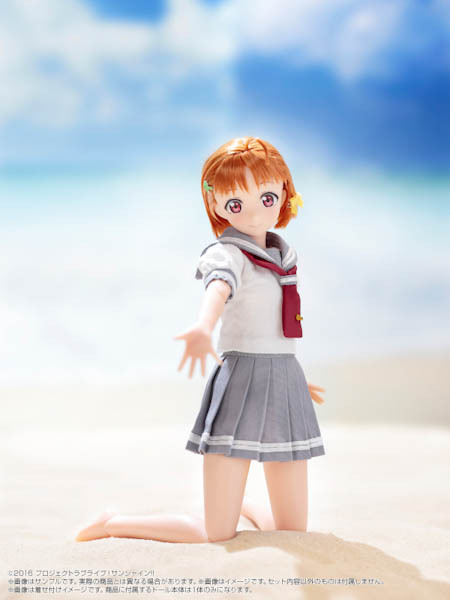 Chika is a member of the school idol Aqours. 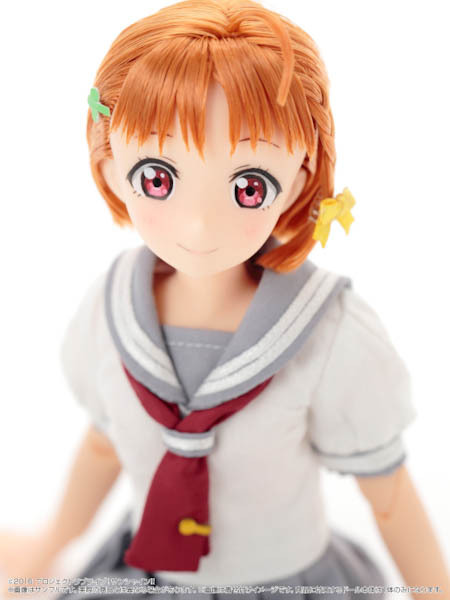 There are 2 versions of Chika Takami to choose from. 1 version is a Premium Bandai Limited Edition. 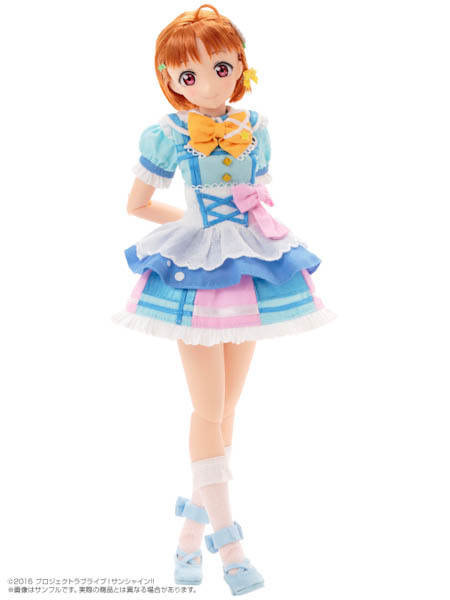 The Premium Bandai Limited Edition (PBLE) will include her stage outfit which she wore during her 1st single named kimi no kokoro wa kagayaiteru kai? 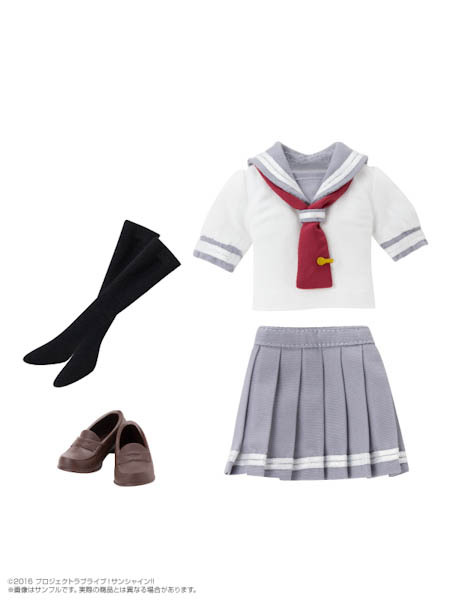 and her school uniform. Her school uniform will not be included. 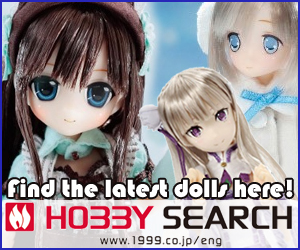 Is it just me or is Azone improving on the dolls character likeness? At first I thought this was a figure, she looks very intricate and her beautiful eyes are my favorite trait. Pre-orders for both versions will begin November 25, 2016. Chika Takami is scheduled to perform a private concert for you on July 2017. Stage Outfit: "kimi no kokoro wa kagayaiteru kai?" 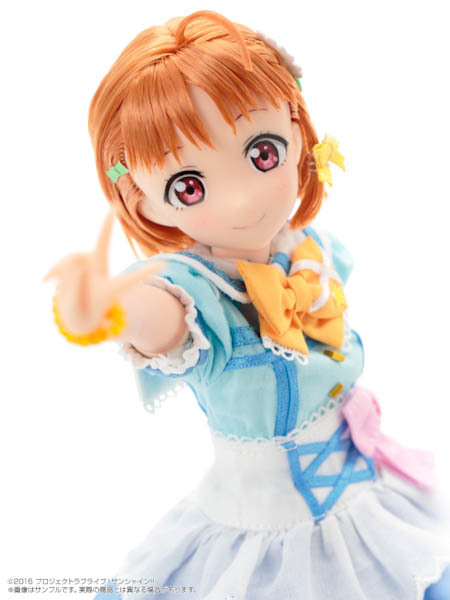 Did Chika Takami have you dancing to the pre-order beat or will you be a wallflower and wait for the next Aqours member to appear? 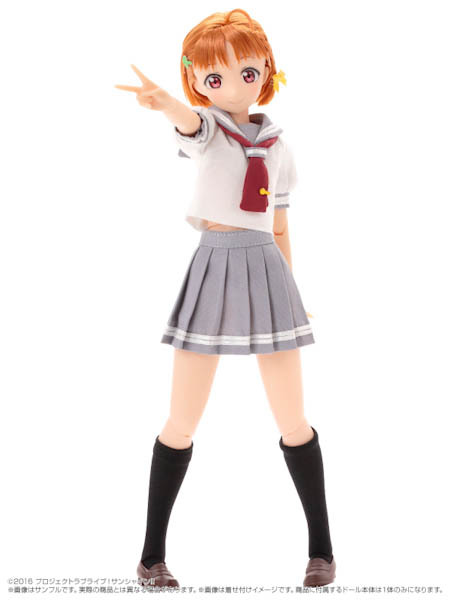 Are you looking forward to seeing more girls from Love Live! Sunshine!! series? 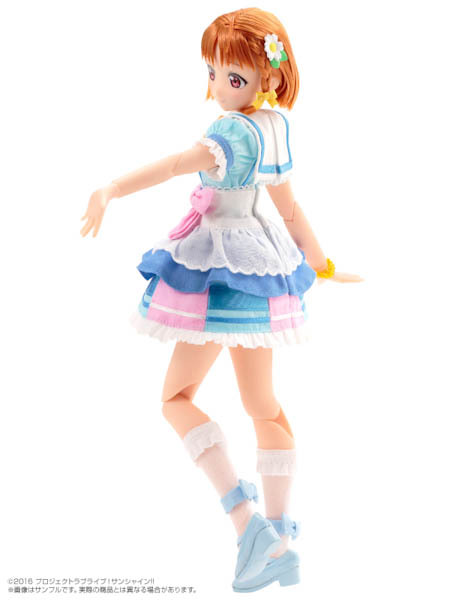 I didn’t see the premium azone dolls love live sunshine on Hobby Search or amiami. 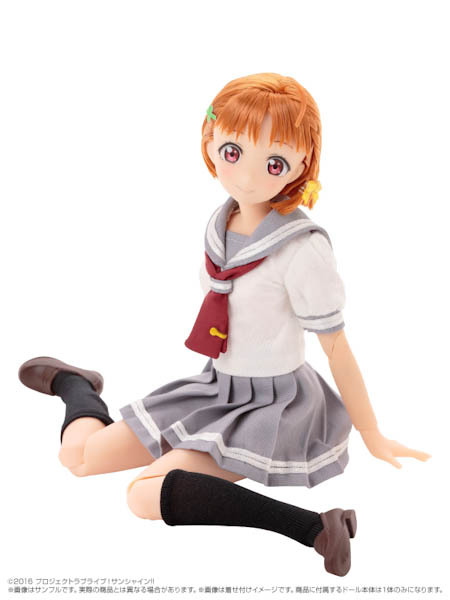 Where you interested in buying the Bandai school uniform version? Yes I am, but when to to there to the cart it only show 0. Are they out of stock. 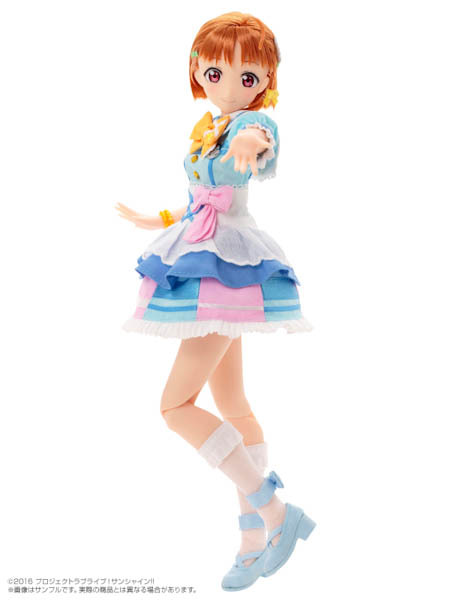 Yes, unfortunately she is sold out on Premium Bandai’s site. 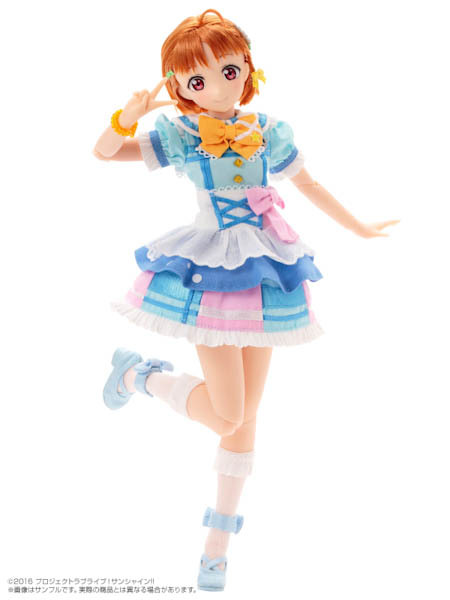 But I did spot her on Mandarake for 15,000 yen about $141. Several collectors had good success buying from Mandarake. I think I like this doll better then the maid girls. Love the cute frills and the colours. This is such a fun playful outfit that you can’t help but to smile when you look at this cutie. I think a lot of collectors feel the same as you, they prefer this look over the maid outfits. While the maid look had its special charm, I think the Sunshine girls will take it to another level. 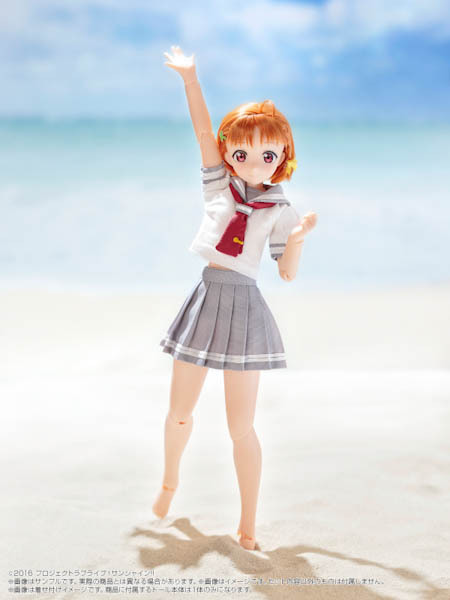 Thanks for taking the time to leave a comment on Azone’s Chika Takami PureNeemo.